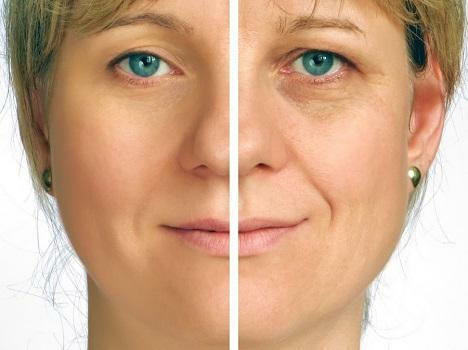 Is your face beginning to show your age? Are you beginning to see fine lines and wrinkles when you look at yourself in the mirror? If so, it’s time to make yourself look as young on the outside as you feel on the inside. The answer is Botox! Dr. Lynn Anderson at Midtown Dermatology in Tulsa, OK wants to share the facts about this unique anti-aging treatment. Botox has been in use for many years and is a proven safe and effective treatment for skin rejuvenation and wrinkle reduction. Botox comes from a bacterium known as Clostridium botulinum and it works by temporarily “freezing” the nerves and muscles which cause wrinkles. It smoothes out the skin, making your face look rejuvenated and younger. Signs of aging including wrinkles and fine lines begin to show up due to your skin’s loss of moisture. Skin elasticity decreases as you age so when you show facial expressions like laughing or frowning, your skin doesn’t snap back as easily. The result is fine lines and wrinkles beginning to form. Botox treatment is tolerated well, and you can request a numbing cream or spray beforehand. The number of injections you need will vary depending on the areas being treated. You can expect to see results within 2 to 4 days, and you may need maintenance treatments after 4 to 6 months to get the best result. If you want to rejuvenate your skin and reduce the early signs of aging, Botox is the choice to make. To learn more about Botox and other anti-aging treatments call Dr. Anderson at Midtown Dermatology in Tulsa, OK. She can help you look years younger, so call today!